The gift of knowledge is priceless. Give your child a wonderful, fun and educational summer camp experience, and get some well-needed ME TIME for you! Full Day Summer Camp sessions are available Monday thru Friday from July 2nd until August 31st. Call salon if interested in learning more. Furthermore, you can click below to book our full day summer camp online today! Good manners are timeless and essential for all children. 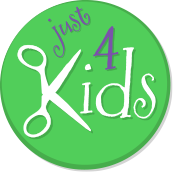 Furthermore, Just 4 Kids Salon’s full day summer camp teaches kids the foundation of all social etiquette. In addition, children will learn the importance of kindness, consideration and respect and how to carry those virtues over in to everyday life. Give your kids a wonderful learning experience, while earning some well deserved “me-time” for you! In summary, we offer a wide-array of fun etiquette and finishing classes. These are specially designed for your little one! Furthermore, our full day summer camp offers anti-bullying classes. As a result, your child will learn invaluable lessons on leadership, communication and respect for others – this will emphasize important leadership skills in your child, as opposed to simply following others! The list of benefits of our full day summer camp are endless – Most of all – If you book a full week camp mid-week, you will still qualify for a week’s worth of courses (Ex. Wednesday to the following Wednesday).